Comments: According to Zhou (1994), argentian tetrahedrite is much more abundant at this locality than real freibergite. This is confirmed by analyses of traded "freibergite" specimens, which have mostly shown argentian tetrahedrite. 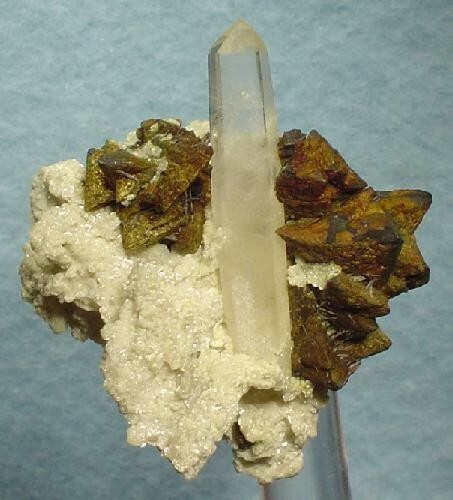 Quartz ⓘ1 photo of Freibergite associated with Quartz at this locality.